Get high quality, robust, flexible and easy-to-use software applications for your business or organization. Get found and show the world what you do on the web with a creatively and beautifully designed website. Let us help you use technology to create a system that will enable you work more effectively and efficiently. Sysmax Technologies is a privately owned Information and Communications Technology (ICT) Company based in Nigeria. We have over the years focused on our core expertise which is the creative development of software (web-based, desktop, and mobile) that add value to businesses and organizations. Overtime we have built competences with our list of satisfied clients using our software. As an Information and Communications Technology (ICT) Company, we understand that technology is NOT the future of business, rather it is the present. Armed with this knowledge, we integrate technology with business, giving you the multiplier effect. We help businesses, organizations, and chief executives simplify their operations through the use of technology – software. We listen to your pains: through engagement we turn your pains into a solution: We brainstorm based on the information we've received and use our experience from our clients in your industry to create a solution that will meet your needs. We implement the solution carefully organizing it into daily chores, monitoring staff and customer response constantly improving to ensure that your pains are turned to gains. We know how important after sales care is to you, that's why we provide support to you every single day of the year. We don't wait for your calls, we check up on you regularly. 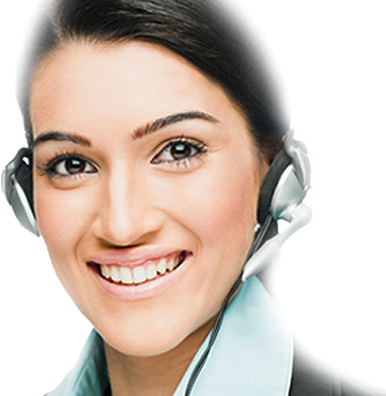 You can also call, email or chat with our dedicated team of sales, support and teachnical staff. You can also take advantage of our various product help files and youtude videos. If you are in any of our locations, you can drop by and it will be our pleasure to meet and solve your problems. To show you that our interest is how excellently our software and services add value to your Business or organization, we provide 30 days money back guaranty. You read right! full return of your payment if you don't get the value you paid for. We are pleased to inform you that we have a 98% deployment success rate, so you won't regret working with us. As a company, we believe excellence is a choice, we choose to be excellent. We put you first, this drives every aspect of our operations and we won't rest until we are sure you are satisfied. Our team and partners are provide services passionately and this helps us achieve excellence from system analysis through development to deployment. I have tried a number of software in my warehouse, and they either have too many features i don't need or understand; or they are complex or worse still, I need to do some tweaking here and there to get the reports i need. Trust is key in dealing with businesses daily marketing products to you. I personally don't like to deal with anyone I don't trust. I have tried Sysmax so I am never afraid to invite their staff to discuss - on updates or issues we have requiring their attention. Great Customer Service. I have used Sysmax Daisy (Student Result Processing Software) for more than 7 years and must compliment their exceptional customer service. I think nothing is as cool as receiving weekly calls and monthly updates..
A privately owned Information and Communications Technology (ICT) Company based in Nigeria. We have over the years focused on our core expertise which is the creative development of software (web-based, desktop, and mobile) that add value to businesses and organizations.